Who can resist the smell of Sweet Corn and Warm Waffles when you pass by Daily Fresh? We'll have two of each for breakfast everyday if we could and would quench our thirst with an Ice Apple Tea! 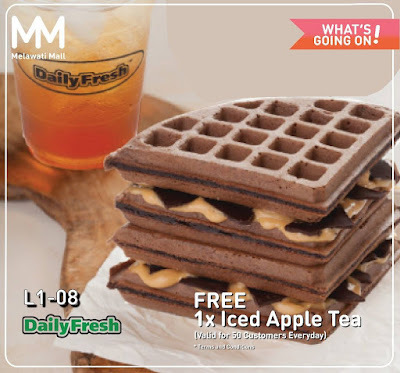 Enjoy a FREE Ice Apple Tea from Daily Fresh for the first 50 customers daily*! While stocks last!